Nearly two-thirds of marketers reckon that the way delegate information is collected at events fails to use technology, according to research conducted by IET Venues. The survey found that 77% of marketers still use the collection of business cards as a method to obtain new leads; while 82% use badge scanners. However, a mere 14% said that this data was fed automatically into customer-relationship-management (CRM) systems, 48% still rely on databases or spreadsheets rather than dedicated CRM systems and 5% do not track data. 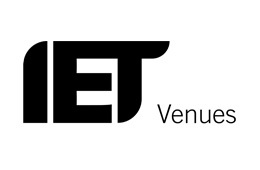 Simon Timmis, IET Venues' marketing manager, said: "Using events and exhibitions to showcase your business, network and meet potential new clients is nothing new to event marketers. "It is however, important that you are gaining the full value from tradeshows and maximising return on the investment by using the information that is given to you for the purposes you state. "An overhaul of processes and technologies as such needs to be considered so that data is captured effectively, recorded efficiently and follow-up tracked successfully to save time and generate solid leads."